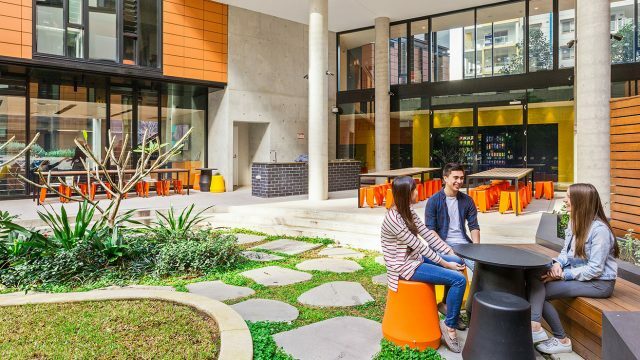 Australia is known internationally for many things: the countless beaches, exotic wildlife, and laid-back attitude, and we’re revealing one of its best-kept secrets– the amazing student residences. There is a lot to consider when studying abroad: what program should I take? Which city should I live in? What should I bring? But with the modern residences available through ILSC, one question you don’t need to ask is: where will I stay? Gone are the days where student accommodations meant sharing a small space with a stranger you hardly see. Instead, enjoy sleek, central residences located in Australia’s most popular cities, with plenty of luxurious amenities at your fingertips. These residences are built for social bonding, with many spaces designed to create connections with those you live with. On top of the social bonding and exposure to different people and lifestyles, student residences frequently offer savings over renting housing in a city, especially considering they are usually placed in central and convenient locations and frequently include utilities. Speaking of convenience, our residences options are located short distances from our campuses, so you can spend more time studying, playing, working and exploring, and less time commuting. With a focus on well-designed spaces and warm hospitality, the luxurious apartments at Iglu Chatswood are located close to everything you need, offering incredible eateries, entertainment and shopping districts right where you live. 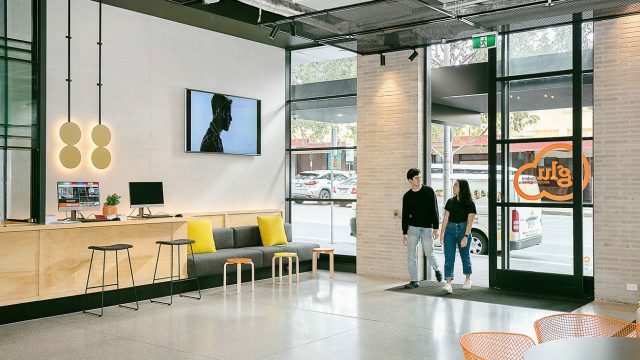 Iglu Chatswood connects you to all aspects of iconic Sydney living, including living nearby the Central Business District (CBD) making it a top choice for international students. Located in the heart of Brisbane City, just 5 minutes’ walk to ILSC-Brisbane! Student One Wharf Street is the world’s tallest student accommodation building and is home to hundreds of other students from all over the world. 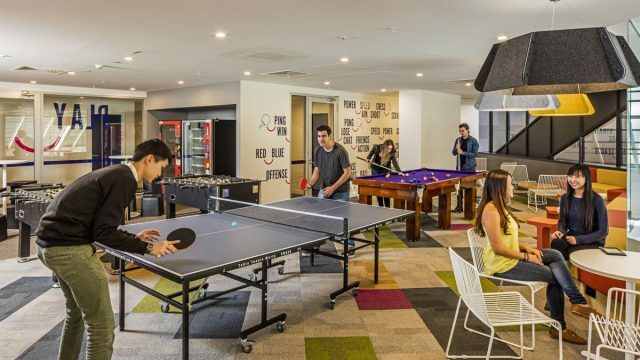 With a fun social vibe, its located only minutes from all public transport options and within walking distance to a world-class shopping, dining and entertainment district, this is the ideal spot to stay in Brisbane. Ready to live it up down under and call Australia home? Let us make your dream Australian living experience come true – click here!